This should have stayed in the cutting room. An intriguing premise hampered by an agonising pace, lack of suspense and interesting characters. A shame that this will be remembered as one of Anton Yelchin’s last works. The opening 20 minutes felt like a completely different film. 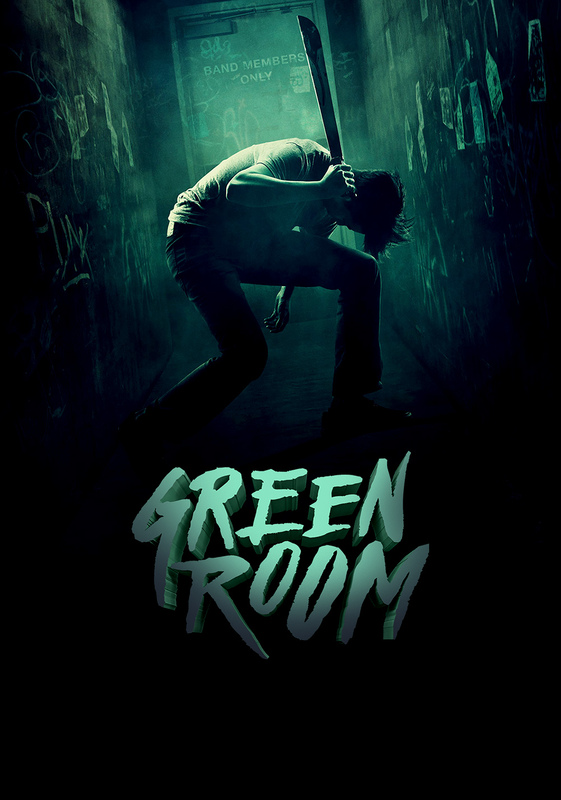 Having not read anything about the film beforehand and going in only on hype, I thought I was watching a gritty indie drama with Yelchin’s punk rock band The Ain’t Rights struggling to gain fandom or even a gig. Squatting in a fan’s apartment and siphoning fuel out of cars to keep their mini-van going. Their bohemian lifestyle and music escaping the suffocating realms of social media. Trying to make it the old fashioned way. Despite the meandering pace, I would have been much happier to watch this subplot than the actual story that unfolded. This could have been the perfect platform for some underrated actors to shine; Alia Shawkat (Arrested Development), Joe Cole (Peaky Blinders) and Mark Webber (Scott Pilgrim Vs. The World) BUT alas it was not to be. They did their best with the wafer thin characters BUT it just wasn’t enough. The tension bubbled away nicely when the band arrived at a neo-Nazi bar. I cringed at the uncomfortable atmosphere as if I was there. “If you back out, I’ll tell them you’re Jewish”. Especially when the first song was “Nazi Punks, F*ck off!”. However, it wasn’t the nerve wracking gig where the problem lied. It was the body waiting for them in the green room. Cue a dull and dreary nihilistic slow burner that not even Captain Picard could save. The band are soon thrown into an Assault on Precinct 13 situation with the skinheads desperate to remove all witnesses. A stand-off that should have been tense and suspenseful. Initially for 15 minutes or so, it was. I kept waiting for Patrick Stewart to appear. He was a nasty piece of work and really carried the piece when it tragically dragged. His presence missed in every scene. Even if his mangled accent sounded like a Deep South Gandalf. BUT from all the hype, you’d think that critics have never seen play him a bad guy before. Conspiracy Theory, anyone? Hell, Star Trek for crying out loud (Resistance is futile!). It really was a waiting game BUT one that was frustrating me. The squabbling and escape attempts were feeble. The inevitable unfolding as each band member was picked off one by one (and quite graphically). When the pit bulls were released on the unsuspecting prisoners, my grumbling ceased as Yelchin’s Pat tried to outwit the relentless skinheads. Other than Stewart, Macon Blair (Blue Ruin) was probably the only other supporting character to make an impression as the conflicted underling. Desperate to keep a handle on the situation as it escalated beyond his control. Yelchin did his best and was a charismatic lead. His reunion with Imogen Poots (Fright Night) could have been so much more. She really got on my nerves and her character only really got going in the final moments when it was too little, too late. There was only going to be two outcomes with this situation and either way I wasn’t interested by the time the end result arrived. I just wasn’t invested in it. There were moments to be had BUT a few tense scenes compiling 15 minutes does NOT a good movie make. Dreadful. Move on from this bore-fest!